Ala Moana Center is the world's largest open-air shopping centre and Hawaii's premier shopping, dining and entertainment destination. No trip to paradise is complete without visiting shopper's paradise. 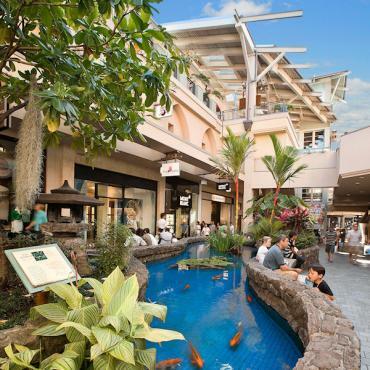 With over 290 stores and 80 dining venues, we recommend you set aside a day of retail therapy Oahu style. 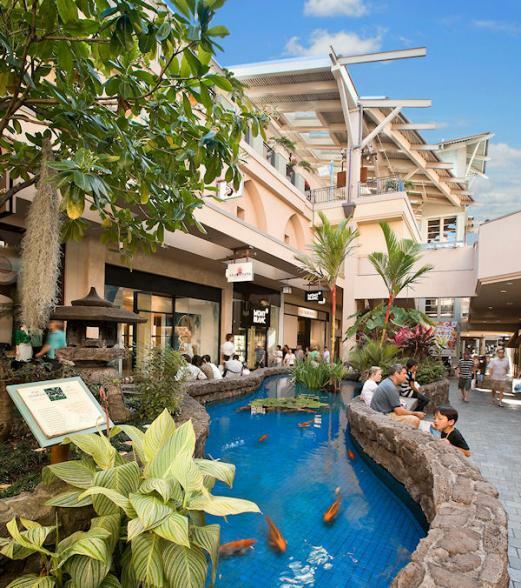 Ala Moana Center is home to one-of-a-kind stores with "unique-to-Hawaii" merchandise, a diverse array of national brands and one of the finest collections of luxury boutiques. Whether you are a Louis Vuitton lover or a Coach collector - Ala Moana caters for every budget and every style. Our top 3 favourite department stores are here too: Macy's, Neiman Marcus and Nordstrom. AND, coming in 2015......Bloomingdale's! If you plan to drive to Ala Moana make sure you take advantage of the free valet parking. Remember, you are going to have lots of bags to carry! If you aren't planning to hire a car or prefer to let someone else do the driving, the Pink Line shopping trolley operates 7 days a week, every 10 minutes, from various stops throughout Waikiki - including several hotels. The cost is just a few dollars per person each way, so sit back, relax and enjoy the Honolulu scenery.